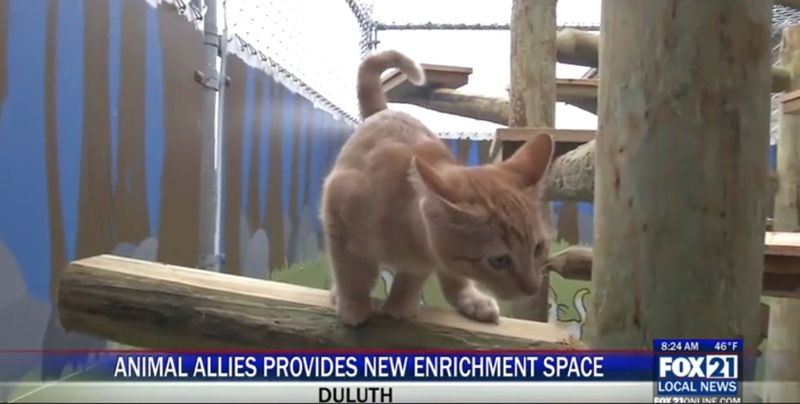 Animal Allies Humane Society in Duluth, Minnesota built an amazing catio for its shelter cats. The catio, along with a very cool doggie agility and play yard, came with a $27,000 pricetag. The money was raised from community donors, a fundraiser, and an American Society for the Prevention of Cruelty to Animals (ASPCA) grant. Let’s hope animals shelters across the country follow suit. Check out the article and video from the local Duluth Fox affiliate.